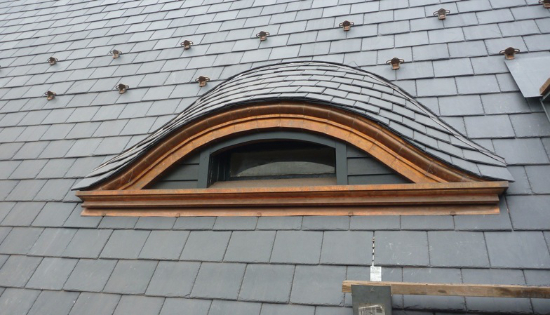 It is believed that eyebrow dormers date back to the cottage style thatch roofs from the middle ages. This architectural design was brought to North America in the second half of the 19th century by famous American Architect, Henry Hobson Richardson. Richardson trained in Paris from 1860-1865 and developed a passion for medieval inspired architecture. Some have coined these “Richardson eyebrows”. Not only do eyebrow dormers add a charming touch to a home, they also help break up long rooflines and create usable space in attics. A lot of work goes into designing this detail to a roof and windows are custom made. The slater will install high quality underlayment and metal flashing under each course to prevent water from running under the slates. Although complicated to install because the vertical and horizontal line layouts are critical it looks like a wave on the roof. 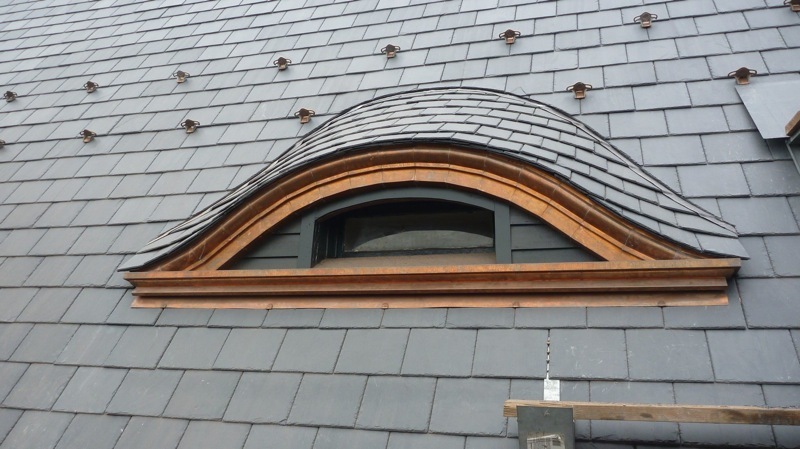 Depending on the size of the eyebrow dormer, narrower slates (3 or 4 inches) will be required to lay the slates in the curved areas. Another note to mention, the larger the radius of the dormer will make the curves look smoother. 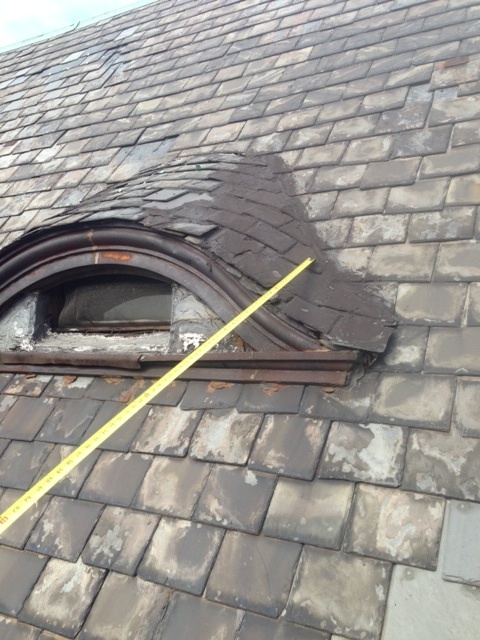 The slate supplied below in the restoration of this eyebrow dormer, is our North Country Unfading Black.